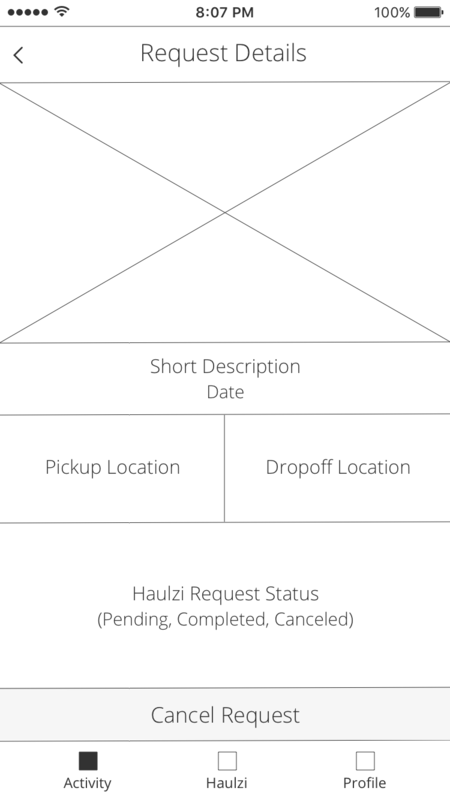 Haulzi solves the problem of needing a truck when you don't have one. Now you have a truck! Most of us have been stuck outside of an Ikea wondering how we will fit our purchases into our tiny cars. Often, this problem of transporting large goods prevents businesses from making sales that would otherwise happen. The Haulzi iOS app connects you with a local driver who can help you move a large item like a couch or dining room table. Users simply post their items and location, chat with a driver to negotiate a price, and pay directly through the app. Haulzi began with the goals of simplicity, communication, and speed. 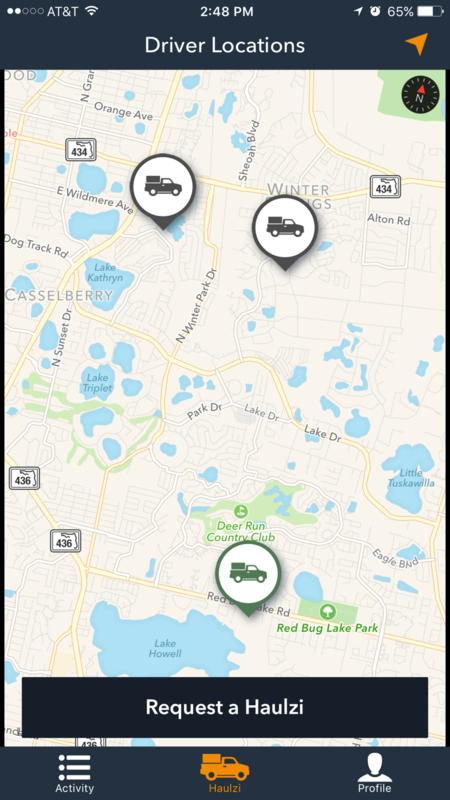 We focused on the ability to quickly request a truck and easily chat with your driver. The business model does not focus on set pricing or charging users by the mile. 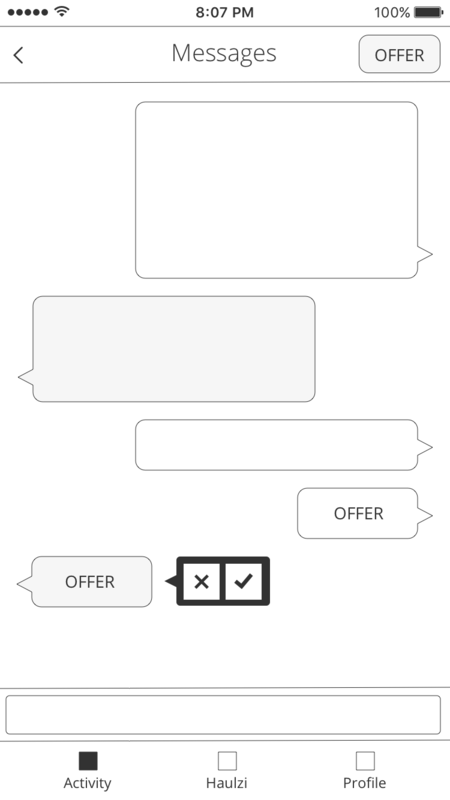 In our strategy sessions, we concluded that drivers and customers should be free to negotiate a fair price in an easy to use chat feature. 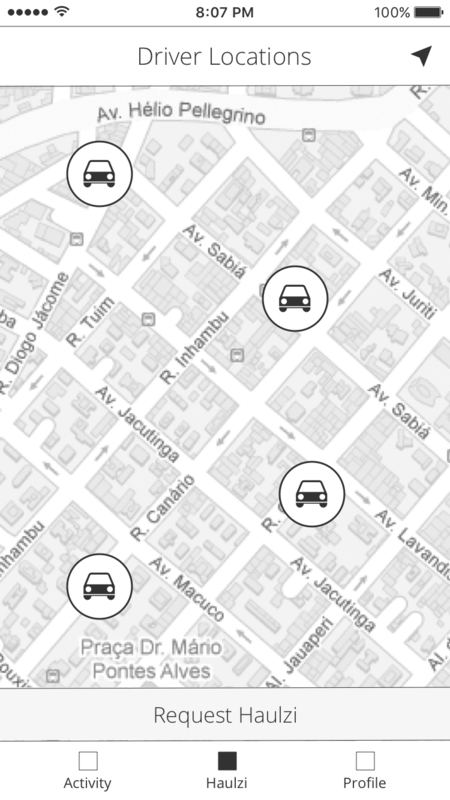 Easily see how many Drivers are nearby on a map and start your request. 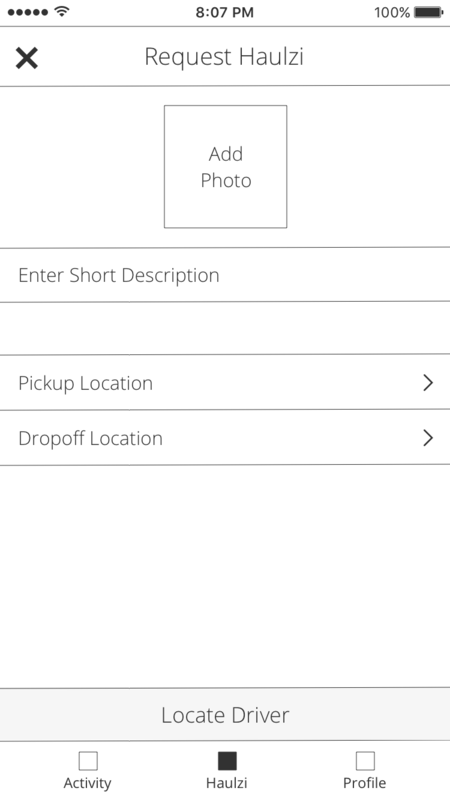 Snap a photo of your haul, set pickup and drop off points, and request a local driver. 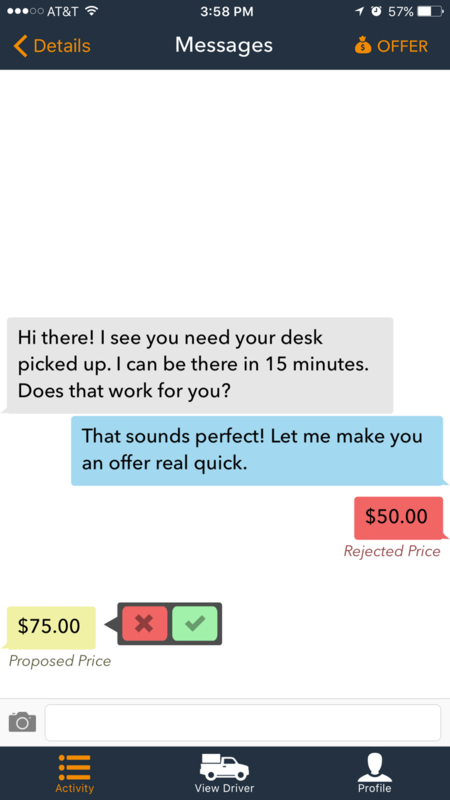 Easily chat with your driver and negotiate a price that works for you both. Quickly see a summary of your haul and the info that's important to you. Teeps was an obvious choice for Haulzi to partner up with for very simple reasons, Teeps founders are also UCF alums and located here in Orlando. 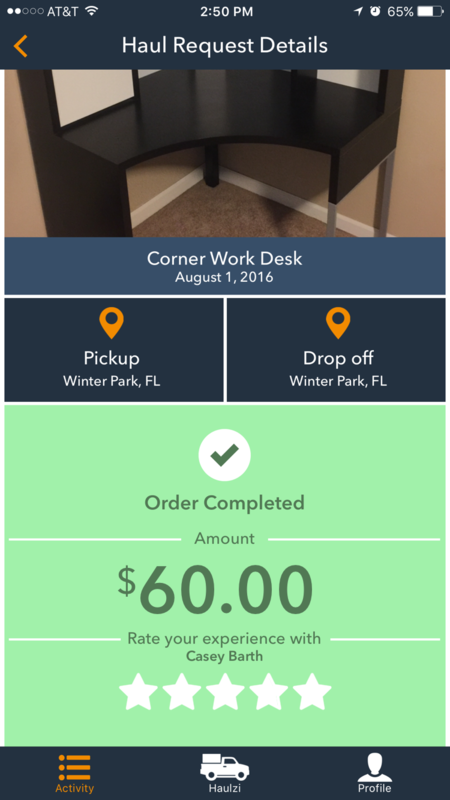 Haulzi is currently live in the Orlando area. The app will be expanding to other markets around the country in the coming year.